IDTechEx analyst Dr Harry Zervos said: "Congratulations to Drayson Technologies who tackled the multifaceted beast of developing a consumer electronics product with a slick form factor and functionalities that address issues of global importance such as increased environmental awareness, while incorporating advanced energy harvesting technologies, bringing to fruition the advent of the IoT by taking advantage of abundant ambient energy sources and - almost ubiquitous by now - distributed processing power." Lord Paul Drayson, CEO, Drayson Technologies said: "We are delighted to have won the IDTechEx Award in recognition of our Freevolt technology. We look forward to presenting the technology in further detail, alongside our CleanSpace product, during the Internet Of Things session at the event." The winner was Shockwave Motors, Inc. for its Defiant EV3 All-Electric Roadster and John McMillian, CEO, told IDTechEx: "The Shockwave Motors Team really appreciates the opportunity provided by IDTechEx and the belief and confidence they have shown in us. This amazing learning experience has been capped off by winning the Most Significant Innovation Award. For us, this has been a life-altering event; one we never forget!" The winner was 24M, for the 24M Semisolid Lithium-Ion Battery, a technology that has the potential to cut costs on existing technologies by 50%. This would be transformative if accomplished as it would immediately accelerate the deployment of EVs, renewables, etc. 24M said following the announcement: "24M is honored to win the award for Best Technical Development within Energy Storage from IDTechEx. The team at 24M is very passionate about our mission to accelerate the adoption of energy storage by making a better lithium-ion battery at the lowest possible cost. This award means a lot for our team and is a testament to many years of hard work and dedication. Thank you all again!" Lorenzo Grande, Technology Analyst with IDTechEx, added: "24M's semi-solid technology can disrupt the way Li-ion batteries are currently manufactured, since it enables low upfront investments, fast production and ultimately cheap batteries. The company has already started production on a pilot scale and has secured partnerships with other corporations to bring their semi-solid batteries on the market in the near future." 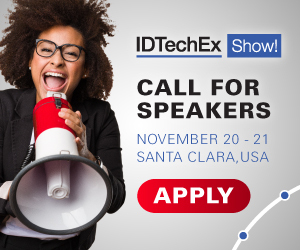 Gary Brown, VP of Marketing at Movidius told IDTechEx: "We are thrilled our Myriad 2 Vision Processing Unit is being recognized by IDTechEx as the Best IoT Technology Development this year. As IoT devices from drones to security cameras to VR headsets require sophisticated machine vision algorithms sitting near the sensors, we have seen a huge need for performance efficiency, and we are confident Movidius' devices will continue to play a role in the rapid growth of IoT." Raghu Das, CEO of IDTechEx, stated "Performing under 1.2W of power means Myriad 2 can be deployed into tiny IoT devices such as smart cameras, drones and wearables, opening further opportunities for IoT applications and benefits for consumers."